The Priesterseminar is situated in the centre of Brixen. There are some flexible seminar rooms with the most modern conference technology, offering space for groups from 10 to 700 participants. These can be hired by groups, institutions and organisations. The in-house catering service, the accommodation possibilities and the parking structure in the city centre guarantee an all-round successful conference event. The Priesterseminar is a very special place. 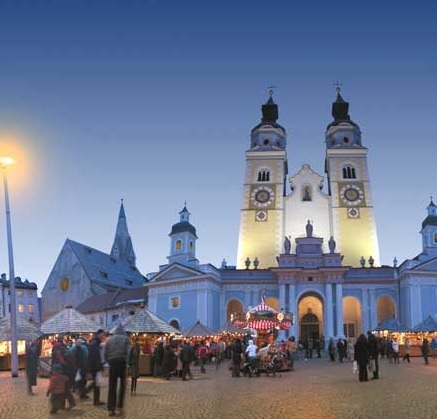 The Baroque Brixen seminary, it is a place where the church and world meet. Submission is restricted to investigators under 40 years of age. The number of participants will be limited to 130. Priority will be given to applicants whose scientific contribution will be accepted for presentation. Bressanone is a lovely town in South Tyrol, Italy, provided with excellent lodging and skiing facilities. It can be easily reached by motorway through the Brenner Pass for those coming from Northern Europe. The railway station is on the railway that connects Innsbruck and Munich with Verona, Venezia and Milano. Most trains stop at Bressanone that can be reached in about 4 hours either from Venice or Milano. Discounts for skiing will be provided for those interested.